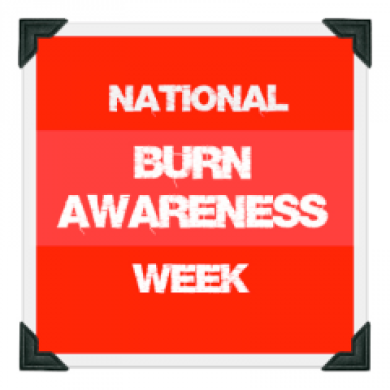 February 2nd – 8th is Burn Awareness Week. Learn more from Safe Kids about the risks in your home and how to keep kids of all ages as safe as possible. When I was twelve years old, I made my one and only trip to a burn unit. It’s an experience I wouldn’t wish on anyone, made worse by the fact that I was visiting my older brother. My brother is a genius. He’s one of the smartest people I know but smart doesn’t always mean safe. As a senior in high school, he was fascinated by the world of chemistry and often assisted his high school teacher in the lab. One day, while performing some unsupervised experiments, the chemicals he was working with spontaneously combusted. His chemical burns were so severe that he was taken by helicopter to the nearest burn unit where he underwent several skin graft surgeries. My brother is extremely lucky. He made a full recovery and thirty years later, his burn scars aren’t even noticeable. But as an impressionable 12 year old, walking through that burn unit made me truly realize that the danger of burns goes beyond fire. Most children, including my own, seem to have a healthy fear of fire. While it may be fascinating to them, it only takes one experience touching something too hot before they start to understand cause and effect. For my son, when he was two years old, he had a run in with our gas stove. Even though he knew that it was hot (hot was, in fact, his first word), he didn’t really understand until he got a little too close to the flame. The look on his face told us that if he didn’t understand the danger before he certainly did then. Thank goodness he didn’t get burned but it served as a reminder to us as parents that our kids need continuing education when it comes to keeping them safe. 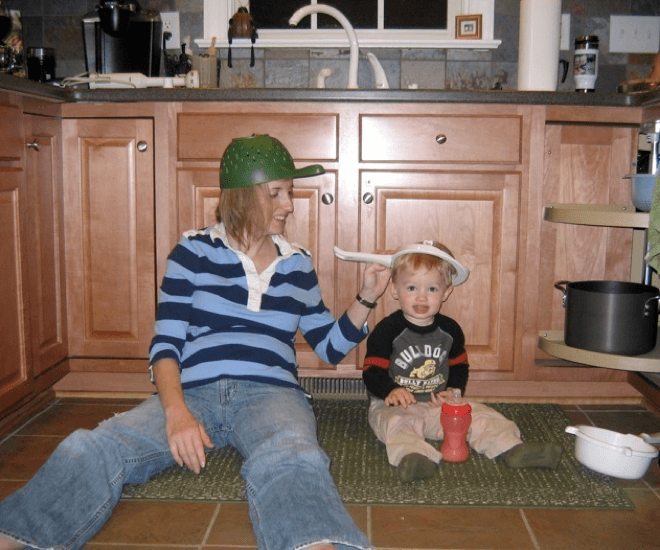 As he gets older, the conversation around burn safety has changed. He’s learned that in addition to fire, burns can come from the hot glass on the fireplace, from scalding water, from electricity, from flammable liquids, and even from chemicals. He knows the stories and the dangers and even some of the long term effects of burns and we’ll continue to educate him as he grows. To prevent accidental scalding, set your water heater to 120 degrees Fahrenheit or the manufacturer’s recommended setting. Make a habit of placing matches, gasoline and lighters in a safe place, out of children’s reach. If you have additional tips to keep your home safe, we’d love to hear them! Fadra Nally is a Communications Specialist for Johnson & Johnson. When she’s not working, she’s mothering a precocious 7 year old in the suburbs of Baltimore, MD. In her spare time, she writes All Things Fadra, one of the Top 100 Mom Blogs for 2012 according to Babble.com. She’s also the co-founder of Charitable Influence.